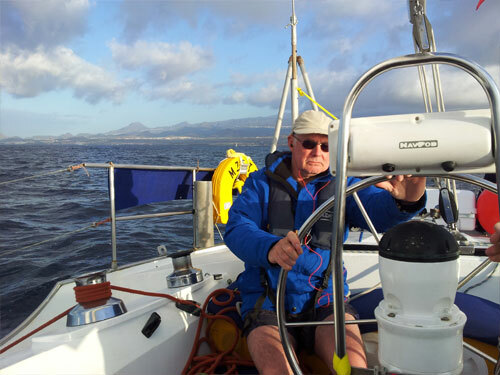 I was lucky enough to sail with Keith for a whole week in May 2016, and to my amazement gained my full Day Skipper and VHF/SRC licenses. My accomplishments are in no small part down to the time and knowledge that Keith shared with me. His patience and experience are evident from the moment you step aboard. I had no expectations of passing prior to boarding and when I was presented with my passes on the last day, Keith commented that he knew that I wasn't expecting an automatic pass. His personal approach to instruction and then furthermore his advice on the way I sail and will sail in the future comes flooded with gems of inspiration that he adapted to my own boat, to give me plenty of food for thought on adapting systems to make sailing more rewarding and convenient to my own needs. backed up with contacts he is happy to share. I cannot thank him enough for dragging the much needed confidence out of me to enjoy sailing again. If you are looking at this site wondering whether this school is the right one for you, then YES IT IS ! No matter what you level of experience. My heart felt thanks go to both Keith & Angela p.s. (I hope you will enjoy the postcards) !